arraaccommodationgroup - Why Should I Choose A Budget Motel In Adelaide? Why Should I Choose A Budget Motel In Adelaide? Once you’ve decided that a holiday is on the cards, you need to start considering where you would like to go. A budget motel in Adelaide might be a great option because it’s affordable, but is it really a city that you want to spend your holidays visiting? The good news is that there is plenty to see and do in Adelaide, whether you’re travelling with the kids or just with your significant other. If this is where your interests lie, you should head to the city’s cultural hub – North Terrace. Here you will find the Art Gallery of South Australia (home to more than 38,000 works), Australian Aboriginal Cultures Gallery (home to more than 3000 artefacts), and the Adelaide Festivals Centre. There are also plenty of galleries scattered throughout the city. Although people generally assume that southern beaches are cold, those in the Adelaide area are perfect on a hot summer’s day. Head to Glenelg, Brighton Beach (which offers spectacular views of the city), West Beach, Henley Beach, Grange Beach, Semaphore Beach, North Haven (where you will find the boat marina), Sellicks Beach or Aldringa Beach. 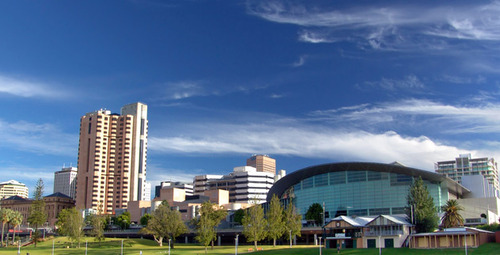 The city is home to plenty of more family friendly activities, including the Adelaide Zoo (where you can see Wang Wang and Funi, the giant pandas), Cleland Wildlife Park, Gorge Wildlife Park, Adelaide Planetarium, and the Monarto Zoo (known for being the world’s largest open-range zoo). There are also plenty of parks and playgrounds in the area. Known as Australia’s wine capital, you cannot stay at budget motels in Adelaide without sampling a drop or two for yourself. The famous Barossa Valley is only a short drive away – some of the more popular vineyards in the area include Grant Burge Wines, Jacob’s Creek, Penfolds, Peter Lehmann Wines, Wolf Blass Wines and Seppeltsfield. History buffs will love the sheer number of heritage attractions – the South Australian Museum, Migration Museum, Ayers House Museum, Maritime Museum, National Railway Museum, and South Australian Aviation Museum. The nickname ‘City of Churches’ is also accurate – there are plenty of old churches and cathedrals to visit. Being one of Australia’s smaller capital cities, you’ll find that you don’t have to go far if you want to get back to nature. We recommend checking out the Adelaide Botanic Gardens, Wittunga Botanic Gardens, the Rose Garden at Mount Lofty, Cobbler Creek West Reserve, Mount Gawler Native Forest Reserve, and nearby Kangaroo Island. When you want a break from sightseeing, a little retail therapy could be in order. Head to one of the city’s many markets (such as Adelaide Central Market, Adelaide Hills Farmers’ Market or Gilles Street Market) or to one of the massive shopping precincts (such as Rundle Mall or the boutique shops that can be found down at Glenelg). Did you know that the city is home to a number of sporting events? The recently refurbished Adelaide Oval is hosts cricket during the summer and AFL during the winter. Other sports you might like to take in include tennis, soccer, cycling, basketball, netball, rugby, swimming, diving, hockey, baseball and mountain biking to name a few. As you can see, there are plenty of reasons why should choose a budget motel and cheap accommodation in Adelaide for your next getaway. Whether you’re looking for somewhere to spend a long weekend or perhaps a weeklong stay, Adelaide offers plenty of activities and sights. On top of this, you’ll also find plenty of delicious places to eat so breakfast, lunch and dinner will be a breeze!